The National Trust works with many partners to promote and conserve the landscape, flora and fauna at Wimpole Estate. One huge success has been the contributions made through an Environmental Stewardship Agreement, which have enabled essential works to be carried out to improve the parkland. This great work is explained below…. I’m Alice Bateman and I work for Natural England in our Cambridge office. I have been involved in the setting up of the Environmental Stewardship schemes like the one at Wimpole National Trust for the last six years. I am delighted to be working with Paul Coleman and Richard Morris from Wimpole to support the natural environment and heritage works that are underway at the Estate. It’s ensuring that this wonderful historic building and its parkland landscape continues to benefit people and wildlife into the future. Through an Environmental Stewardship agreement, we are supporting wildlife conservation and parkland restoration here. 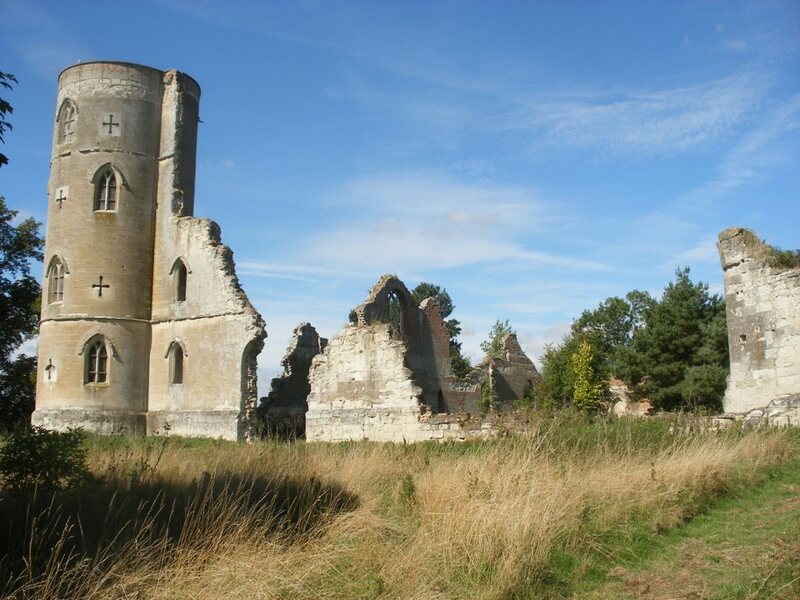 Natural England has funded the management plan that has guided the repairs work to the Folly and we are helping to fund the restoration work with a contribution of £200,000. The agreement is also helping to safeguard and improve important wildlife habitats on the estate such as planting new trees, grazing the parkland with rare breed sheep and cattle, and managing the land in ways that will benefit declining farmlands birds including Grey Partridge, Skylarks and Lapwing and rare arable plants such as the Wild Pansy, Venus Looking Glass and Dwarf Spurge. I would really encourage you to take a walk round the estate and have a look at the impressive historic parkland landscape. This entry was posted in Buildings, Conservation, Landscape and tagged cambridge, cambridgeshire, conservation, landscape, protected, wimpole by ntwimpole. Bookmark the permalink.